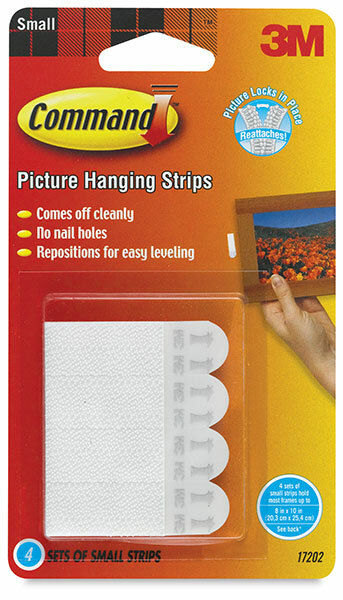 No more nail holes, cracked plaster, or sticky residue. Command Picture Hanging Strips make decorating quick and easy. One click tells you the strips are locked in and holding tight. The strips remove cleanly. Available in narrow, small, medium, and large sizes. ® 3M is a registered trademark.™ Command is a trademark.